OAK CREEK -- A road contractor already paying $2,000 dollars a day in fines in West Allis for delays now faces additional penalties in an Oak Creek project. The 13th Street construction between Rawson and Drexel was suppose to wrap last month. Now the projected end is something in the spring.The drive down 13th street is one lane, only one direction with a lot of construction barrels, equipment and chaos. "It's just kind of been a pain," said homeowner Brandon Specht who is living in the middle of it. "My son and I were stuck in traffic from Rawson to my house for close to 30-35 minutes." Oak Creek Alderman Steve Kurkowski noted the project is one that is being run by the county but it has not stopped city residents from constantly calling or emailing his office upset about it. "They are tired backups. The congestion that it causes at 13th and Rawson and 13th and Drexel, getting on and off the freeway even. And right now you can only go southbound on 13th out of any of the businesses or homes," said Kurkowski. 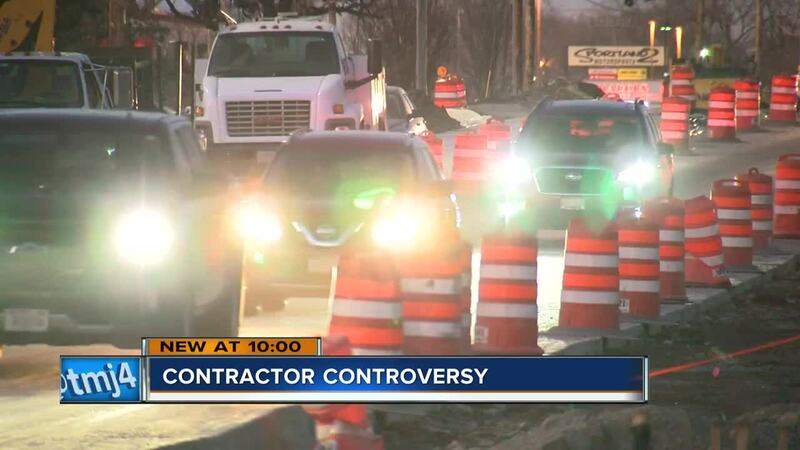 The Wisconsin Department of Transportation spokesman Mike Pyritz said the contractor, Cornerstone, is not delivering on time, In a statement - the DOT says the deadline has passed - and now they are being penalized. If this sounds familiar it's because it is. Pyritz said it's the same company being fined in West Allis for missing its construction deadline. That project on National Avenue was suppose to finish November 2. TODAY'S TMJ4 reached out to Cornerstone USA for a comment but we did call after business hours and could only leave a message. We have not heard back.